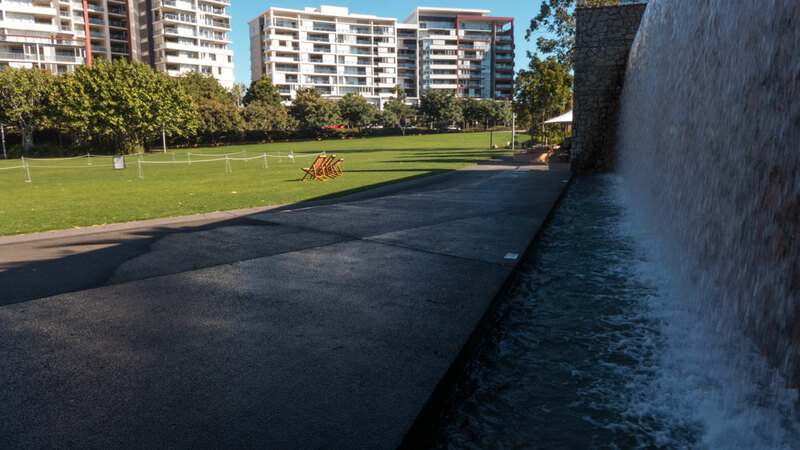 The Queensland state government spent millions on the Roma Street Parklands. 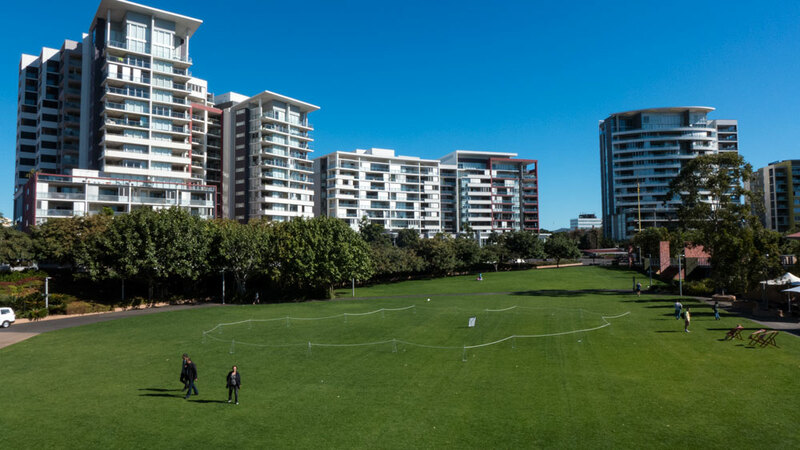 This parkland was set to add huge value to any apartments built around its edges. One would have thought that the City would have insisted on at least some higher levels of design for such buildings. As one walks around the parklands and the gardens there is a constant on the horizon. While the shrubbery, trees, parks, water-features, flowers, artworks and all the well design architectural features add to the very pleasant experience, over on the horizon are all these truly ugly apartment buildings. They dominant with their ugliness. I have uploaded before about how the Brisbane City Council seems to be working very hard to make Brisbane as ugly as possible through the consistent approval of unattractive bland-box architecture. Surely with all the investment made to make such a parklands attractive, and with such a great job done by those who designed and delivered these parklands, it would have been possible for the City Council to take the bold step and insist on something better than these bland out-of-the-box architectural eyesores. For the people up in the apartments, they have the benefit of the parklands as being their front yard as provided for and cared for by the government. But when in the parklands, the view is blocked by these hideous architectural wonders. The City Council has really proved just how incapable it is of understanding the value of aesthetics. If these buildings had been attractive and especially designed to be part of the experience, just imagine how many more people would want to visit. Here’s the links to my previous postings on some of Brisbane’s problem with aesthetics. Paul Costigan, 8 July 2014.